Students in Malaysia who are interested in obtaining top notch UK education without having to go overseas can choose to study at one of the best Foreign university branch campuses located in Malaysia. Heriot-Watt University Malaysia offers the same high-quality education provided in the UK. Heriot-Watt University Malaysia students have the choice to benefit from an international experience for part of their studies, joining students in Edinburgh or Dubai for part of their degree programme. Heriot-Watt University has been commended by the UK Quality Assurance Agency for the quality of its educational programmes and the strength of its partnership with students. The job market is competitive and students wanting an edge should choose the best university in Malaysia to equip them with outstanding skills and critical knowledge to be successful. Students can obtain a top ranked UK degree at Heriot-Watt University Malaysia. 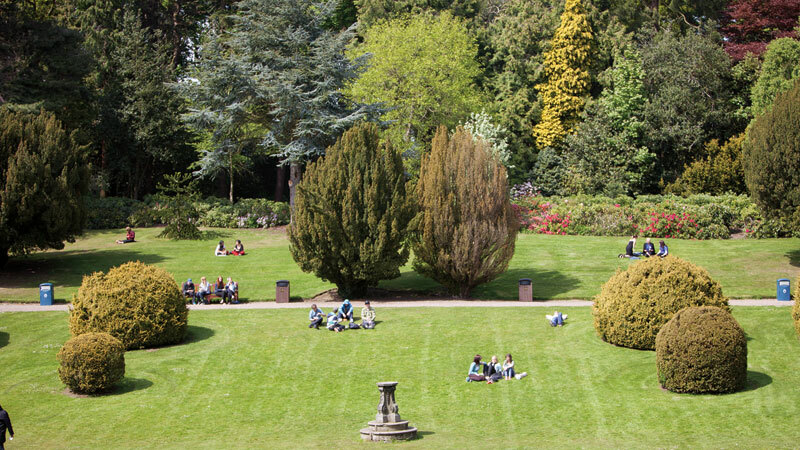 With a history dating back to 1821, Heriot-Watt University has a long tradition of excellence and a proven track record in educating, inspiring and challenging the professionals of tomorrow. Heriot-Watt University is one of the top UK universities for business and industry and has an established reputation for world-class teaching and practical, leading-edge research. Heriot-Watt University’s Malaysian campus brings high quality British education within easy reach of students in the South East Asia region and beyond. Heriot-Watt University enjoys an established reputation for world-class teaching and practical, leading-edge research. Students interested in registering at Heriot-Watt University Malaysia, please go to this link.Affordable hostel accommodation is provided at safe and conducive condominiums in Cyberjaya with free bus shuttle to and from Heriot-Watt University Malaysia. Scholarships are available at Heriot-Watt University Malaysia to deserving Malaysian students who have achieved high results in their SPM, STPM, A-Levels or UEC examinations. The list of top rankings for Heriot-Watt University provides evidence to Malaysian students wanting a top UK education. Heriot-Watt has been ranked 47th in world, 3rd in UK, and 1st in Scotland, in the QS world ranking of universities under 50 years of age. 63rd in the world, 10th in the UK and 2nd in Scotland in The Times Higher Education ‘100 Under 50’ 2013 (University Royal Charter awarded in 1966). Scottish University of the Year 2012-13 (and 2011-12) and UK University of the Year for Student Experience 2012-13 by the Sunday Times. Heriot-Watt University is ranked 9th in the UK for industry income, based on the value of industry research income per member of academic staff. Heriot-Watt University is ranked 39th in the world, 13th in the UK and 2nd in Scotland for our international outlook, a score based on the percentage of the university’s international staff, the level of international co-authorship of academic papers and the percentage of international students studying with the University. Heriot-Watt University is ranked 19th in UK for highest percentage of international students (42%). THE’s ‘Table of Tables’ is the combined results of the three main UK university league tables – the Good University Guide (published by The Times and The Sunday Times), The Guardian and The Complete University Guide. ​2nd in Scotland for six subjects: Chemistry and Mechanical Engineering. The National Student Survey (NSS) is a survey which gathers honest feedback from final year undergraduates, studying full time. Heriot-Watt University is ranked 11th in the world and first in Scotland, based on the ‘international outlook’ indicator from THE World University Rankings. This indicator examines a university’s international student numbers, its percentage of international staff and the proportion of its research papers published with a co-author from at least one other country. Heriot-Watt University is Top in Scotland for Building, Chemical Engineering, Town & Country Planning and Landscape, and top 3 in Scotland for: Art & Design, Chemistry, Economics, General Engineering, Mathematics and German. The University was also ranked 15th in the UK top for our proportion of international students and 21st in the UK international faculty. A ranking of the world’s top 50 universities established within the last 50 years. 34th in the world, 3rd in the UK and 1st in Scotland. Ranked in the top universities worldwide for 11 subjects: Linguistics; Computer Science and information Systems; Chemical Engineering; Civil and Structural Engineering; Electrical Engineering; Mechanical Engineering; Chemistry; Mathematics; Physics and Astronomy; Business and Management Studies; Statistics and Operational Research (Actuarial Mathematics and Statistics). REF 2014 named Heriot-Watt in the top 25% of UK universities, with 82% of our research ranked as world-leading or internationally excellent. We ranked 9th university in the UK and 1st in Scotland for research impact. The Sunday Times Good University Guide 2017 listed the average starting salary for a Heriot-Watt graduate as £22,362 six months after graduation which places us 35th in UK. As one of the most progressive and international institutions based in Scotland, you will have the opportunity to thrive, both personally and academically during your time with Heriot-Watt. Heriot-Watt University’s learning environment seeks to offer you the very best in terms of study programmes which apply knowledge to real world challenges. We are ranked in the top 2% of universities worldwide (QS World University Rankings 2017/18) and in the top 20 universities in the UK (The Guardian University League Table 2017). We are top 10 in the UK and 1st in Scotland for research impact (REF 2014). Each year the university enable hundreds of students to enhance their educational experience through a variety of Heriot-Watt and externally funded Scholarships and bursaries, including opportunities funded by the University’s generous Alumni community, based all over the globe. Heriot-Watt University encourages you to see the world, then change it. The university has 5 campuses and 150 learning partners around the world. You can take advantage of opportunities to transfer your study to campuses in Scotland, Dubai and Malaysia through their Go Global inter campus exchange programme. Heriot-Watt University is one of Scotland’s most international universities, so there are plenty of opportunities to meet the world at their UK campuses. The very nature of a Heriot-Watt research-informed education, underpinned by their values, ensures you will have the opportunity to develop leadership skills and confidence to be specialists in your chosen fields and professions. Global companies actively seek out our graduates as they are work ready. This is why more than 95% of Heriot-Watt University students are in graduate-level jobs or further study six months after completing their programme. 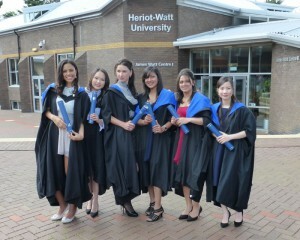 When you join Heriot-Watt you become part of a global family. Heriot-Watt has over 116,000 alumni worldwide. The Watt Club was founded in 1854 and is the oldest graduate club in the UK. Lifetime membership is automatic upon graduation from Heriot-Watt, and is free to all graduates of the University. The Heriot-Watt University Malaysia Foundation Programme offers the following tailored pathways into the some of the best undergraduate degree programmes in Malaysia. Heriot-Watt University offers a range of professionally relevant and recognised postgraduate degree programmes. The disciplines are designed to meet the demand and economic drivers in the South East Asia region and currently include business, energy, built environment and a range of engineering specialisms. Students interested in registering at Heriot-Watt University Malaysia, please go to this link. For information on hostel accommodation at Heriot-Watt University Malaysia, go to this link. Scholarships are available to deserving Malaysian students who have achieved high results in their SPM, STPM, A-Levels or UEC examinations. Heriot-Watt University’s heritage dates back to 1821 since when their community of scholars has been developing transformational solutions to specific global problems. They are specialists in engineering, business and science and leaders in innovative global education for a future world. The university offers the advantages of a research-led teaching environment where advances in relevant fields are reflected in the syllabus. In the 2008 RAE, 50% of the University’s research was rated as internationally excellent. Heriot-Watt had one of the highest RAE staff submission rates among Scottish universities. The University plays a leading role in a number of Scottish research pooling initiatives including in the areas of Engineering (Scottish Research Partnership in Engineering), Mathematics, Physics, Chemistry, Computer Science, Economics and Marine Science. The University has an extensive portfolio of research collaborations and is expanding this through the development of strategic alliances with key industry partners. we were 5th in the UK for Mathematical Sciences (joint submission with Edinburgh University). 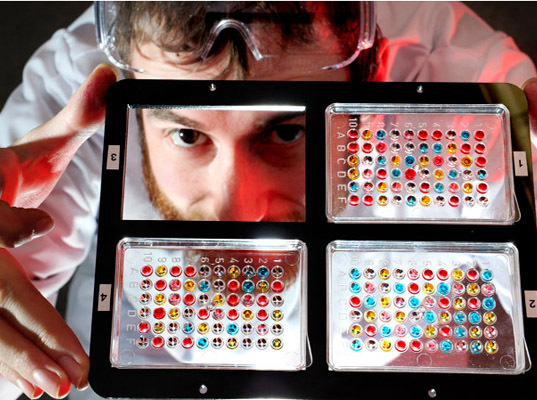 Heriot-Watt University is recognised internationally as a centre for high calibre research in science, engineering and business, and we are one of the UK’s leading universities for cutting edge, applied research. The university continues to attract significant research funding year on year and nearly 90% ofHeriot-Watt University academic staff are involved in research activity. Heriot-Watt University’s expertise in science and engineering is considered world leading and we are renowned for our applied and technological research and for our industry-oriented collaborative work. Heriot-Watt University also works hard to share this expertise and participate extensively in Knowledge Transfer which helps businesses to improve their competitiveness and productivity. Recent research in marine conservation for example has focused on marine habitat mapping for conservation purposes in the UK, Galapagos, Ecuador, Colombia and Panama alongside work to understand the impact of climate change (e.g. ocean warming and acidification) on marine species and habitats. Similar projects are being set up in Malaysia. The new Heriot-Watt University Malaysia Putrajaya campus will provide a dynamic platform from the creation of partnerships with other local universities through which the university can deliver research studentships and other funded research activities. The university also hopes to work with Universities and other Higher Education Institutions in the surrounding region, particularly with those from ASEAN countries. Students interested in registering at Heriot-Watt University Malaysia, please go to this link. Affordable hostel accommodation is provided at safe and conducive condominiums in Cyberjaya with free bus shuttle to and from Heriot-Watt University Malaysia. Scholarships are available at Heriot-Watt University Malaysia to deserving students. Heriot-Watt University Malaysia’s first premises in Putrajaya opened to students in early 2013. Heriot-Watt University Malaysia’s purpose-built campus in the city of Putrajaya is based only 25 kilometres from Kuala Lumpur. Students at the Putrajaya campus join a vibrant, diverse community. The multi-cultural character of the campus provides opportunities to meet and mix with a broad range of international students and enjoy a supportive environment to help you make the best of your time as a student. part of the university community. 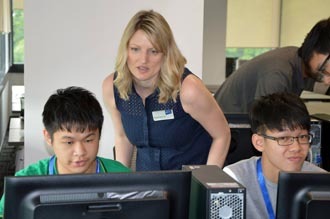 Heriot-Watt University Malaysia provides opportunities for students to develop important skills and gain valuable experience, in addition to those offered by their academic programmes. The university’s strengths and experience in business, finance, manufacturing, engineering, energy and the built environment research match well with local industry interests seeking opportunities to build links. 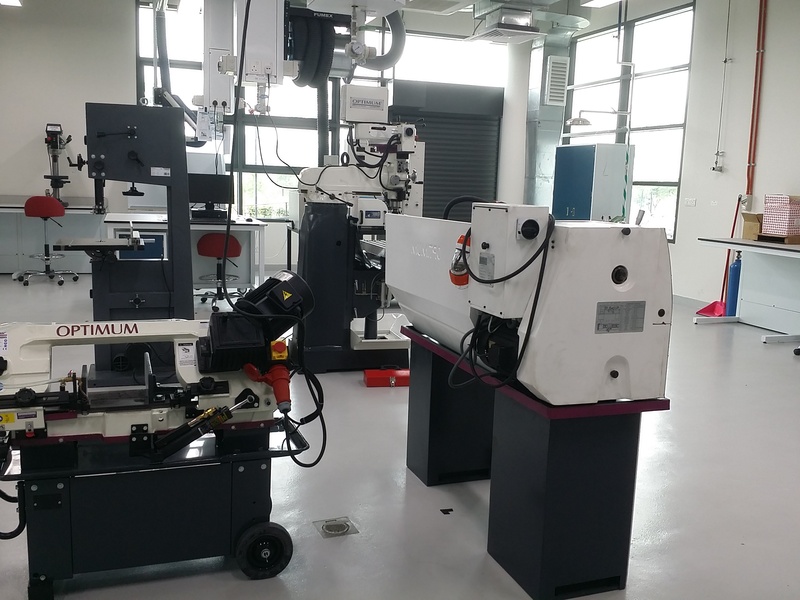 Heriot-Watt University Malaysia already has relationships with some of the international companies with headquarters in Malaysia, particularly in areas such as electronics, photonics, marine and oil and gas. Heriot-Watt University’s campus is located close to the Putrajaya marina and to other purpose-built, modern leisure and sports facilities. Situated in a stunning lakeside location in Putrajaya, the building boasts a variety of informal study spaces, an extensive library and easy access to IT facilities with wifi available throughout. Heriot-Watt University’s teaching spaces will be flexibly designed to allow for traditional lectures and studio-based learning, complemented by high-quality electronic teaching and learning resources. There are common rooms throughout the campus, giving students space to socialise and relax. On the promenade, facing the lake, is the cafeteria with other stores and retail outlets planned. The campus will provide a state-of-the-art teaching and learning environment, reflecting the university’s status as a leading provider of high-quality, professionally orientated education, knowledge transfer and research. When the campus is fully developed the university aims to support up to 4,000 students. 7,880 students on UK campuses, including 5,800 undergraduates and 2,080 postgraduates. 3,181 students at our Dubai Campus, including 2,181 undergraduates and 1,000 postgraduates. The Watt Club, our alumni association, was founded in 1854 making it the oldest graduate club in the UK. The Club connects over 88,000 of our alumni. Responding to the needs of business and industry defines their approach. Heriot-Watt University work in partnership with the professions to develop their degrees, ensuring a career-relevant education and an environment that helps to foster the leaders of tomorrow. Their practical, leading edge research is focused on providing solutions and is helping to tackle some of the key challenges facing contemporary society. Heriot-Watt University has 96,000 alumni spread across the globe and this network of graduates is very important to us. The Watt Club is the university’s alumni association which you automatically become part of when you graduate. It has been in existence since 1854 and is one of the oldest alumni associations in the UK. The strong alumni base gives students opportunities to interact with industry representatives as well as their staff. This is proven statistically, with 94.3 per cent of Heriot-Watt University’s graduates employed within 6 months of graduation globally, ranking the university 10th in the UK for graduate employment. With 3,500 alumni, Malaysia has the biggest group of Heriot-Watt graduates outside of the UK and the university looks forward to the growth of this group as their new campus at Putrajaya becomes established. Current students can also benefit from the existing network with access to alumni mentoring, guest lectures, internships and other available services. Many of the university’s Malaysian alumni have gone on to key roles with some of the country’s major companies, such as Petronas, YTL Corporation Berhad, Exxon Mobil, Motorola and PwC. Established since 2009, EduSpiral Consultant Services helps provide information and counselling on courses and private universities in Malaysia & Singapore. Which Type of Business Course is Best to Study in Malaysia?